It's 1986 and you're sitting a few feet away from your 19" CRT television. Blowing the dust out of your Super Mario cartridge you insert it into your Nintendo and push the power button. The familiar music plays and you’re sucked into a world of goombas and castles on your quest to save Princess Peach. While engrossed in your game, you probably didn't realize the engineering that went into the security of your game and console. Join me as we travel back through history and explore the security of classic game consoles. You don't have to be a gamer to appreciate the various security methods that were employed, including hardware, media, and software security measures. Learn how many of these security measures were exploited, either directly or indirectly, as well as the security measures which have yet to be broken. You'll leave this fun presentation with not only an understanding of the technical details of what went into protecting the security of your favorite classic game consoles and how they were broken, but also how we can apply these historical lessons learned to the modern software and systems we build today. Kevin Shekleton is a VP & distinguished engineer at Cerner, a leading developer of healthcare software. 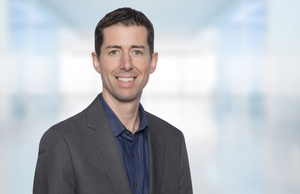 At Cerner, he serves as the technical lead for cybersecurity strategy and implementation, mobile applications, and contemporary healthcare interoperability standards. A true geek at heart, he is passionate about programming, open source, comic books, and of course, classic video games.